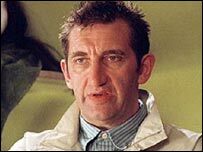 Actor Jimmy Nail is to return to BBC One as the star of a new comedy series, it has been announced. The actor, 54, will appear in six-part series Parents Of The Band as a former pop star whose son is the drummer in a teen band. Nail made his name in 80s comedy Auf Wiedersehen Pet, which appeared on both ITV and the BBC. He also starred in BBC One shows Spender and Crocodile Shoes. In 1992, he scored a number one UK hit with his single Ain't No Doubt. Nail said: "It's lovely to be returning to BBC One with a brand new show. "Half-hour comedy is something I've not done before. As such, it offers a new challenge." The BBC has also announced two further six-part sitcoms, to be produced by BBC Scotland. The Life of Riley, starring Jonathan Creek actress Caroline Quentin, and The Old Guys, starring Only Fools and Horses actor Roger Lloyd Pack, will both appear on BBC One.